This is due to some renovation work which the contractor were not able to complete on time for the March 13 date. 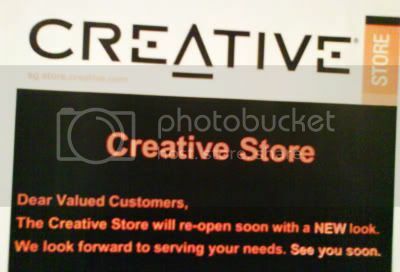 The Creative Store Marina Square will re-open on 1st April (no, it's not a joke) with new promotions. Look out for it!